A story about the power of friendship, commitment, and the will to thrive. Cody Garbrandt grew up in a rough town in the Central Appalachian region of Ohio, surrounded by a longstanding culture of fighting—and drugs. Raised in this environment by a single mom (his dad left him at the young age of three to reside in the Ohio State Penitentiary), Cody grew up fighting, and he grew up wild. His future seemed predestined to end in a mining job, or in prison. Thankfully, Cody had visions of something more. His American Dream? Mixed Martial Arts. But a path to success wasn’t clear. He spent as much time fighting in the streets as he did in the gym—one bad decision away from losing everything. Then, at age 20, Cody’s brother introduced him to five-year old Maddux Maple. Maddux was deathly ill with leukemia, his survival by no means assured. 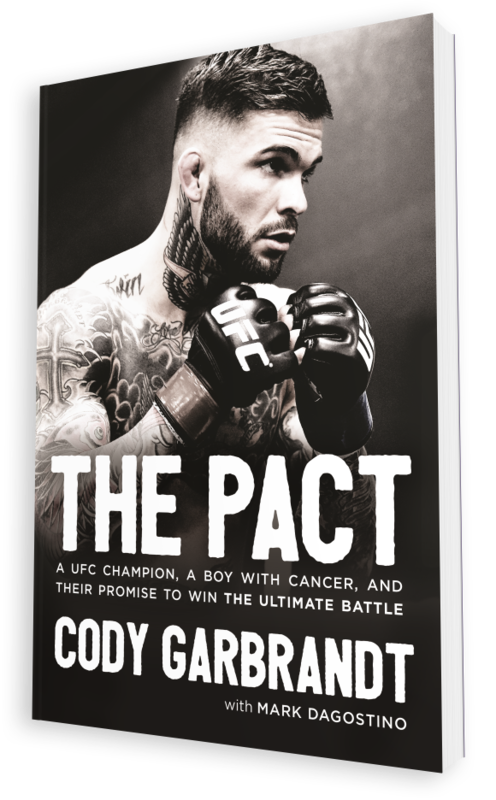 A unique friendship developed as they made a promise to each other: Maddux would beat cancer, and Cody would make it to the UFC and become world champion. Through five long years of pain and hardship, they both persevered; Cody, through the agony and sacrifices of fighting his way to the top, and Maddux through the horrors of chemotherapy. They loved and supported each other. They served as each other’s inspiration. And in December 2016, they made good on their pact: Cody won his UFC Championship belt, which he promptly presented to Maddux—the boy who had beaten cancer into remission. Cody Garbrandt is a professional mixed martial artist signed to the Ultimate Fighting Championship (UFC). He has a record of 11-1 as a professional fighter and is a former UFC Bantamweight Champion. 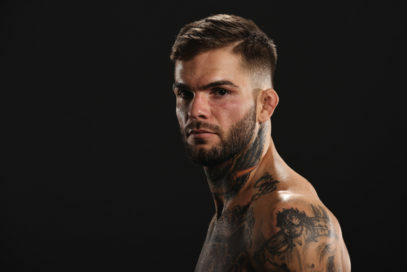 Born and raised in Uhrichsville, Ohio, Garbrandt currently lives and trains in Sacramento, California, as a member of Team Alpha Male. He and his wife, Danny, are expecting their first child. To go to Cody Garbrandt's website, head to www.codygarbrandt.com. For U.S. press inquiries regarding The Pact, please contact Kimberly Golladay at [email protected].